I wasn't allowed to watch The Simpsons growing up, I think that's one of the reasons why I love it so much now, it's a bit of rebelliousness planted deep. Earlier this month, MAC released their Simpsons for MAC collection in honor of their 25th anniversary and it's amazing! 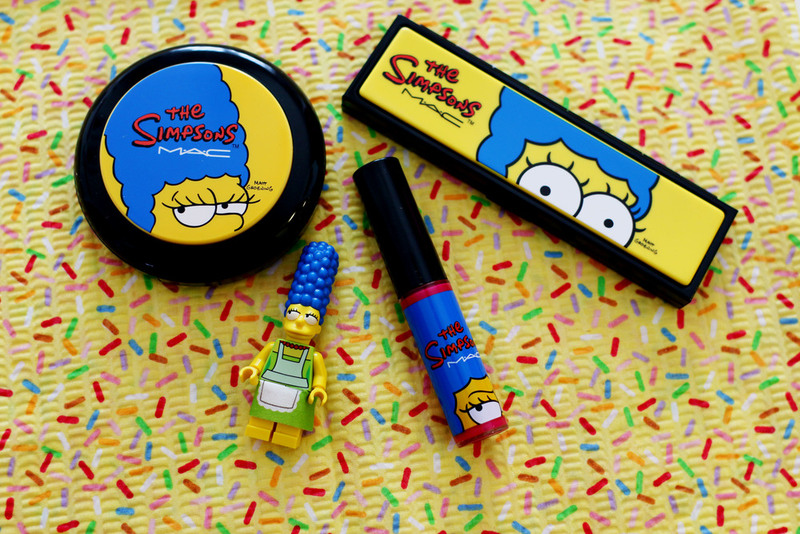 Now, not only do I get to watch The Simpsons as an adult, I get to wear them on my face (as weird as that sounds). It highlights Marge, the queen of side eye. Every year I try to do a fun giveaway to thank devoted readers. Because of you, this giveaway happened. I'm sincerely grateful to keep this blog and awesome blog content for free thanks to affiliate links and partnerships (you can read more about them here). They not only provided this giveaway but they also provide for my family, what a dream come true. THANKS! HOW TO ENTER: Since it's illegal to ask for a "like" or "follow" to enter a giveaway, I'm just going to go with the good nature of people and hope already follow along. And just like my friend Kate says, "please, none of this follow-and-leave as soon as the giveaway is over jazz.. that's super rude!" Yes, Kate it certainly is. There are options to follow in the Rafflecopter entries (again, not mandatory, just trying to be cool about it but you and I both know I'd love it). If you can't see the giveaway, enter here. If you don't want to wait for a chance to win, you can buy the collection here.